Although I enjoy reading fiction and read a fair amount of it (I earned my degree in English, after all), I recommend more non-fiction here on my site because for the most part, non-fiction tends to be more profitable to the mind and soul. However, I do feel there is merit to reading good fiction, which unfortunately is becoming more difficult to come by in this day and age. I find the most worthwhile fictional works were published before the 20th century, and certainly before about 1950. If you haven’t already checked it out, you can see my current list of fiction I believe every Christian should read, which I continue to add to as titles come to mind or are brought to my attention. 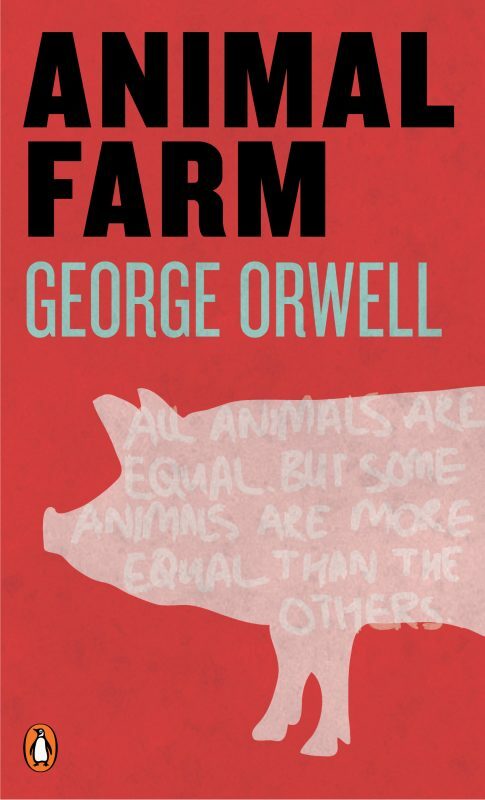 After reading a review of Animal Farm by a fellow Goodreads member, Natalie Vellacott, I realized that it was a novel that I should add to my list of recommended fiction. Now there have only been a couple of times that I have posted or reblogged a review that I did not write myself. And Natalie’s great review was so on-point that I figured, Why invent the wheel? I asked Natalie’s permission to share her review here, and she graciously agreed. The setting is a “normal” farm, controlled and managed by humans. But one day the animals have had enough of being oppressed and abused as human slaves. They rise up and take over the farm. Their goal is for all animals to be equal — to work for the good of the farm and for the sake of their community. Communism in action, in theory. But what will happen in practice? I can see why this book has become a classic. It demonstrates that all ideas based around a communist model are doomed to failure from the outset. Humans are basically selfish due to sin — they cannot motivate themselves to work for the good of the masses. There will always be dictators who will rise up and seek to control the workers. Who will make the rules if everyone is equal, and how will they be enforced? What happens to those who depart from the agreed standards? I wasn’t expecting a short read like this to cover so many aspects of life. Previously accepted historic facts are airbrushed out of existence, and the animals in time become convinced that they have imagined things. It reminded me of those who seek to deny the Holocaust or even the death and resurrection of Jesus — both historically proven but now widely doubted or ignored. From a Christian perspective, there is much to be learned also from Animal Farm. We know that communism will fail because of human nature that tends towards selfish behaviour. Those who believe that the early believers in Acts were practicing a form of communism are forgetting that the text tells us that they voluntarily shared their possessions with each other. There was no force involved. Even then there were leaders who instructed the people and organised them. That is the way society has become since the original fall of man — there will be some rich and some poor. The Christian life is about what we do with the resources, talents, and abilities we have been given by God; we can use them to bless others. Assuming that a common level of limited wealth would lead to satisfaction is a gross error because it removes our innate desire for innovation and to carry out a hard day of work and reap the benefits, to be able to share with others out of our abundance or even in our poverty. It amazes me that despite the numerous (and tragic) failures of communist countries worldwide there are still so many people that think it can work. They point to an insignificant aspect of each dictatorship as the reason for the demise, ignoring the obvious: communism will never work no matter the circumstances or favourable conditions, because it is not part of God’s plan for mankind which has been clearly laid out in the Bible. I agree with Natalie’s observation about why Communism will never work and is unbiblical. I also talk about why Communism and Socialism can never really work in my review of Thomas More’s Utopia, published in 1516. As stated in Animal Farm, “Man serves the interests of no creature except himself.” And without the conversion of the heart by God, this is true of every human being, whether he realizes it or not. Animal Farm is standard assigned high school reading, and if you haven’t read I strongly recommend it. Plus, it’s a really short and easy read while thought-provoking (given the proper attention). 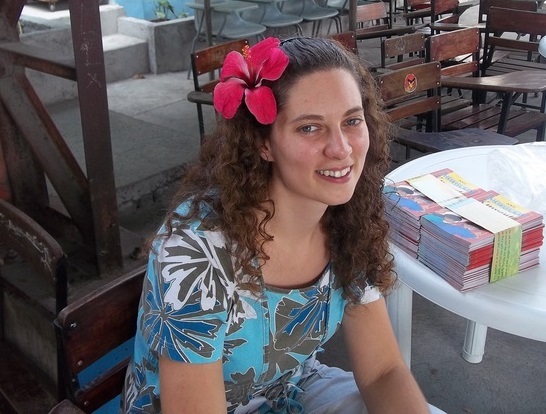 Natalie served as a police officer and detective in the UK before resigning to become a Christian missionary in 2011 on the Logos Hope Christian mission ship and spending time in the Philippines. Natalie has written several books about her life experiences, including Planet Police: Never A Dull Moment Policing The Streets Of Britain , and They’re Rugby Boys Don’t You Know? This entry was posted in Adult Fiction, Young Adult Fiction and tagged allegories, Animal Farm, books every Christian should read, british classics, communism, George Orwell, Joseph Stalin, Natalie Vellacott. Bookmark the permalink.